FreeAgent247.com provides gold standard marketing and service from our carefully chosen team of experts in every field, every time, to ensure your home gets an outstanding sale at the best possible price and you won’t pay us a single penny. Have you ever been told that your home will ‘sell itself’ or that it will sell extremely quickly? Or are you on the market and surprised you haven’t sold yet? If you have a desirable home which you know will sell, then why choose a high street agent, pay them £000s more than you need to? Or choose an ‘online’ agent, pay a fee upfront, have additional charges, compromise on service and risk not getting the best price? FreeAgent247.com is your gold standard free Estate Agent. 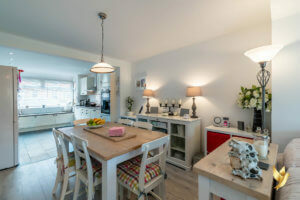 Our truly local experts provide you with a free marketing and pricing strategy and upon instruction, we dress and stage your interior/exteriors in order for our professional photographers, videographers and floor/site planners to show your property in the best possible light. Our marketing includes Rightmove, as well as our huge captive database of buyers on social media. Across our platforms we are the most ‘followed’ Estate Agent in Worcestershire, meaning more eyes will see your property resulting in more viewings, more offers and the best possible price. Your dedicated and highly experienced FreeAgent is available seven days a week to personally respond to all your property enquiries, personally accompany viewings, personally negotiate all offers and your sale. Your FreeAgent will also progress your sale to exchange and completion. We spend at our risk, what other agents charge for the sale of your property on the marketing of your property alone, and you will never, ever pay us a single penny. 2 West Malvern Road, Malvern, Worcestershire, WR14 4NA. 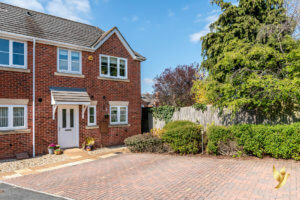 9 Whinfield Gardens, Worcester, Worcestershire, WR3 7HN. 21 Bramble Close, Malvern, Worcestershire, WR14 2UW. Winterfell, 22a Bilford Road, Worcester, Worcestershire, WR3 8QA. 26 Kingfisher Close, St Peters, Worcester, Worcestershire, WR5 3RY. 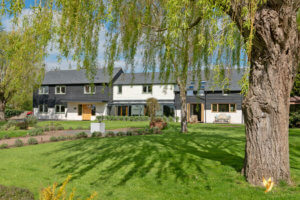 Cornshire Field Farm, Elmbridge, Droitwich Spa, Worcestershire, WR9 0NQ. 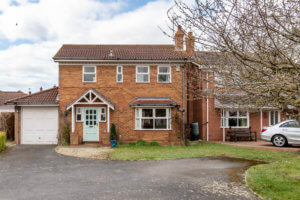 Woodlands, Woodmancote, Worcestershire, WR8 9BN. 42 Victoria Street, Worcester, Worcestershire, WR3 7BD. 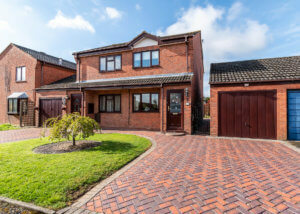 6 Columbine Grove, Evesham, Worcestershire, WR11 2LR. FreeAgent247.com has been inspired by two of the Worcestershire’s most experienced and successful Estate Agents. Gerard Smith and Daniel Lewis had the vision to create a 21st Century response to high fee traditional agents and the shortcomings of online-only companies. FreeAgent247.com and their extensive team provides a full-personal service, with gold standard marketing to deliver the very best price possible for their client’s home. All completely free of charge. During their combined 50+ years in the industry Gerard and Daniel have sold thousands of homes and every type of residential property: cottages, listed buildings, farms and estates, village homes, new homes, new developments, terraces, semi detached houses, detached homes, country houses and castles. Their local expertise ranges from the Malvern Hills, the Teme Valley, the Wyre Forest, the Clent, Clee, Bredon and Lickey Hills; and locations to include Worcester City, Malvern, Droitwich, Evesham, Pershore, Bromsgrove, Barnt Green, Redditch, Stourbridge, Kidderminister and every village in between, from Hagley to Chaddesley Corbett to Belbroughton, from Alfrick to Suckley to Abberley, from Ombersley to Inkberrow and Tenbury to Bewdley, from Broadway to the Shelsleys. Worcestershire has been my home for 35 years where I have successfully sold every type of residential property. Being a previous Partner of one of Worcestershire’s largest Estate Agents, I am highly qualified and specialise in country homes. I am a former Fellow of The National Association of Estate Agents. I was born and raised in Worcestershire and my family & I have lived here all our lives. I have been a successful Estate Agent within the County’s major Agencies for over 12 years. I pioneered property video marketing and continue to lead the way in selling homes via multi-channel media. Yes. It is absolutely free. Guaranteed. When you sell with FreeAgent247.com there is no commission, no costs, no charges, no hidden or additional extras and no withdrawal fees whatsoever. This is confirmed in writing in our terms of business. You benefit from gold standard marketing from our carefully chosen team of experts in every field,every time. You pay nothing at all. There isn’t one! At FreeAgent247.com we believe you simply do not need to pay high fees associated with traditional agents, nor settle for upfront fees, mixed services and frequent additional charges from online companies. Will I be on rightmove? Of course you’ll be on Rightmove. You will also get expert social media marketing via Facebook, Twitter, Instagram, Linked In and Youtube. FreeAgent247.com generates the maximum number of buyers for your home, to ensure you receive the best price. Yes, we also provide feedback as soon as possible via WhatsApp and even voice/video notes. We also provide a ‘cashback’ offer should you wish to do your own viewings. We can discuss arrangements upon our appraisal. Contact us anytime 24-7 by telephone, text, WhatsApp, email or any of our social media platforms. We will respond to you at the earliest opportunity. We are available 7 days a week. If you wish, we set up a WhatsApp group upon instruction to enable us to keep in constant communication. what type of property do you sell? We sell every shape and size of property. From city apartments to country estates, each property received gold standard marketing from our carefully chosen team of experts in every field, every time that we cover the costs of. Our properties are subject to a Purchaser’s Privilege fee, payable in addition to the agreed purchase price on a property by the purchaser, via solicitors and on completion only. FreeAgent247.com provides gold standard marketing and service from our carefully chosen team of experts in every field, every time to ensure your home an outstanding sale at the best possible price and you won't pay us a single penny. We can arrange to meet at your property, one of our select Worcestershire venues or one of our office hubs.